Popular Nigerian singer, Davido, has reacted to reports making the rounds online that his uncle, Senator Ademola Adeleke is dead. 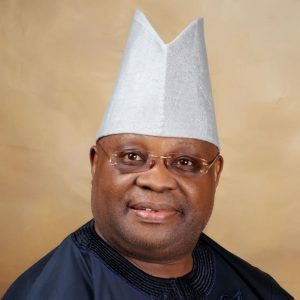 Report on social media had it that the embattled Peoples Democratic Party (PDP) governorship candidate in Osun State, Ademola Adeleke, collapsed at the airport in Abuja. However, reacting Davido in a post on his Twitter page said his Uncle was alive and healthy. He wrote: “Reports that Senator Ademola Adeleke is dead are false! He is very alive and healthy! “Those wishing death upon him, we did not wish you the same. We will be getting our mandate back very soon! Nigeria must change!"